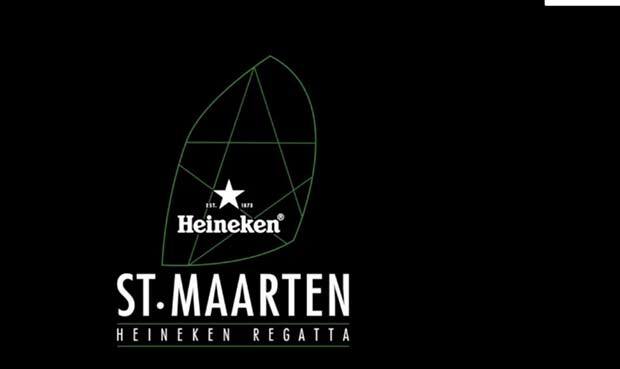 The St Maarten Heineken Regatta will set sail on February 28th March 3rd and is hosting a kick-off party with the grand opening of the Regatta Village this coming Monday February 25th at 6pm. Organizers are excited to show what people can expect during the week of the Regatta. Visitors can stroll along the many booths and vendors displaying their products, enjoy delicious food from a variety of food vendors, check out the Art and Eco Park, all while enjoying an ice-cold Heineken. Remo and the Barbwire Band will be performing from 6pm 8pm, the popular local band will get everyone dancing as they will be performing crowd favorites and a selection of their new songs from their upcoming CD release. The Grand Opening of the Regatta Village will get everyone in the mood for the 39th St Maarten Heineken Regatta. The Regatta Village will be opening Monday Feb 25th at 6pm. The remainder of the week is filled with registration for the sailors, a delicious food court open for lunch and dinner, daily prize giving and live music. For those staying in the Simpson Bay area we recommend taking the shuttle across from the Sint Maarten Yacht Club! Tuesday February 26 to Wednesday February 27 is sailor’s registration. The Village will be open to the public from 10am onwards and is a great place to enjoy lunch, shop for souvenirs and official Regatta Gear and listen to Regatta Radio broadcasted by Island 92. Both afternoons end with live music from 6pm 8pm. Thursday through Sunday racing takes place on our beautiful seas, for those that can’t be out on the water, you can still feel like you are part of it at the Regatta Village, where live racing action is being broadcasted. The village opens every day at 10 am for shopping, lunch and happy hour. Join the sailors as they come off the water and listen to their exciting stories, and enjoy the tunes of local musicians from 4pm 6pm as the sunsets. Daily prize giving for the racers starts at 6pm, Followed by nightly parties on the main stage. A wonderful variety of food vendors will be open for business until the early hours and are ready to serve a wide variety of food; healthy treats, pizza, ribs, johnny cakes, sushi and much more. 4 nights of fabulous concerts can be enjoyed Thursday Sunday with headliners such as the What the Funk band, Alison Hinds, Third World, Fatman Scoop, Shermanology and the Jacksons!